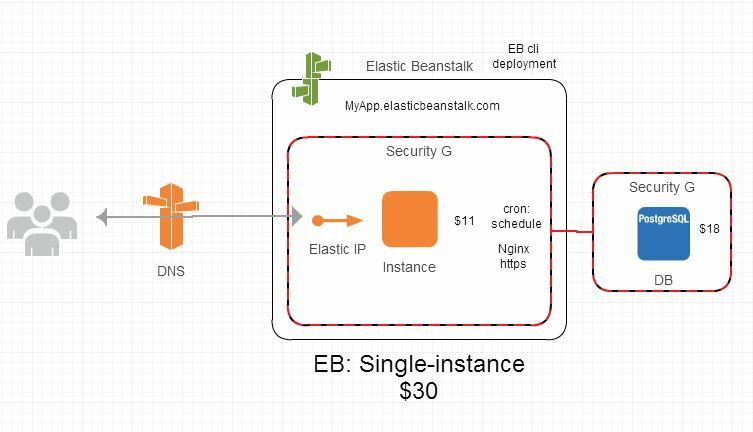 Scaling down to single instance Elastic Beanstalk. 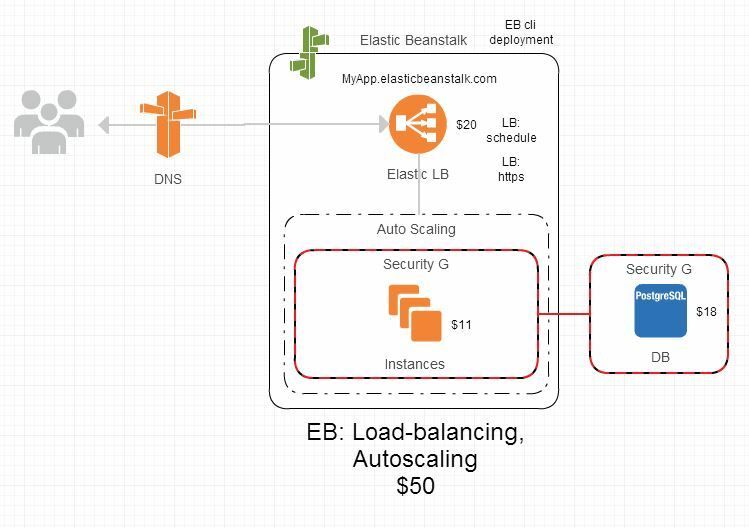 When you are looking to reduce your AWS costs, you might consider removing the Load balancer. At $20 per month it accounts for a large proportion of the hosting costs for a small application. Is it really needed right now? Down the line when your application grows, you can easily bring it back - right? Elastic beanstalk is handy for provisioning and deployment, and thankfully the load balancer is not compulsory. So the good news is we can keep using EB for provisioning and deployment. But what about SSL ? and what alternative is there to the health_check “heartbeat” we use to drive delayed jobs? So here is how we flipped to “single instance” Elastic Beanstalk for a site with light traffic, and how we deal with SSL and found a “heartbeat” alternative. command: "crontab -r || exit 0"
The AWS documentation is here: Configuring SSL for Single-Instance Environments, however it is not complete, and after several hours we gave up trying to get ssl to work on passenger standalone, and eventually got success with puma. With Passenger - 64bit Amazon Linux 2014.09 v1.0.9 running Ruby 2.1 (Passenger Standalone) - we succeeded in opening port 443 for https on a Amazon EC2 instance Security Group (SG) but failed to get nginx to listen on port 443 and use the certificate and private key. We got net::ERR_CONNECTION_REFUSED when browsing to the site. After swapping the CNAME’s we terminated the Load balanced environment and are now running on a leaner single instance Elastic Beanstalk!